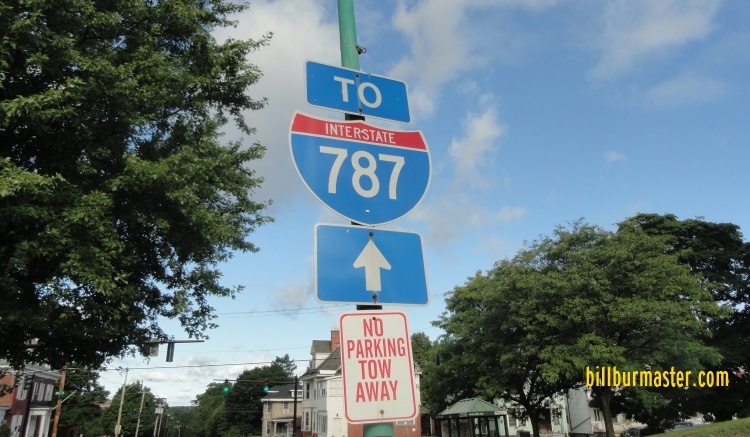 Interstate 787 is a by-pass in the Albany Area. 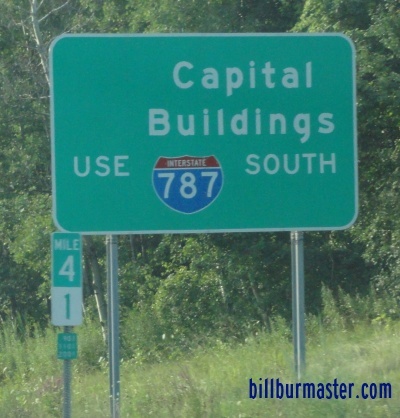 It runs through the downtown portions of the city. 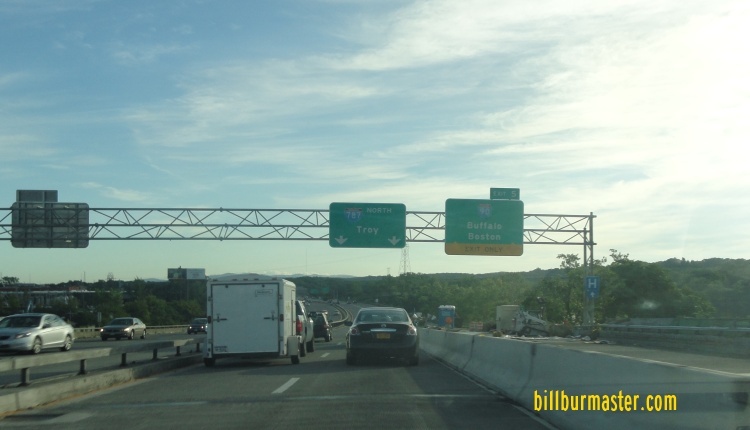 While in New York, I-787 is not multi-plexed. 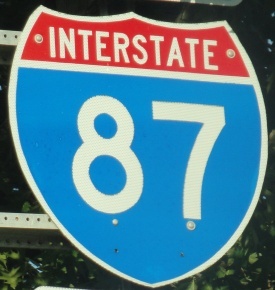 In New York, Interstate 787 crosses the following interstate. 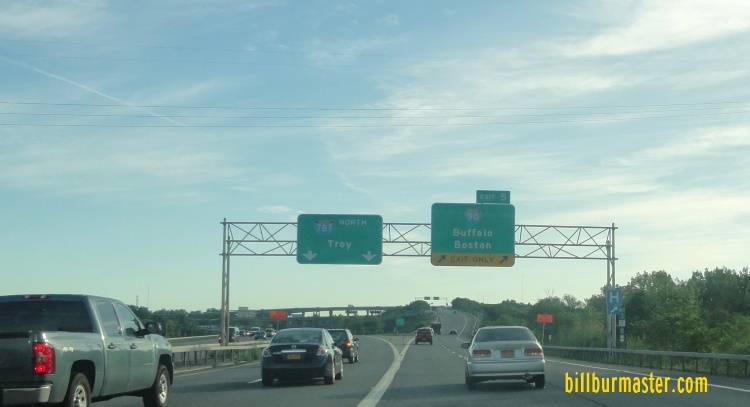 Interstate 87, (New York State Thruway), at Albany. 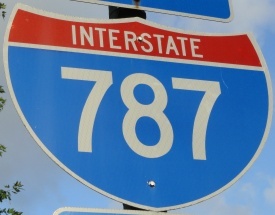 NB I-787 under one mile from I-90. 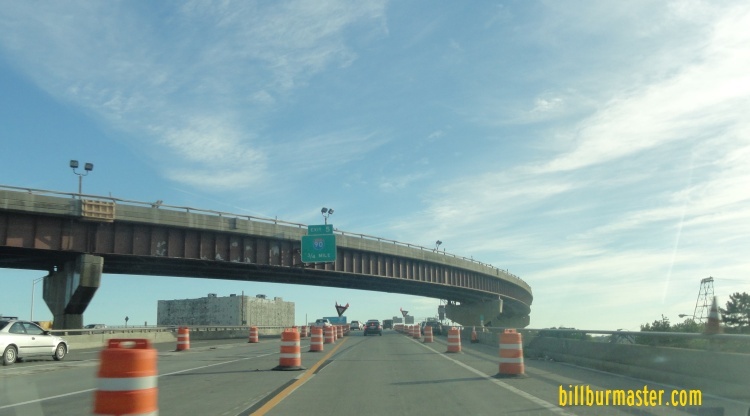 Info on the parent highway of I-787 in New York. 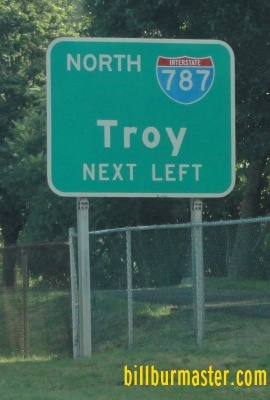 A guide marker in Troy. 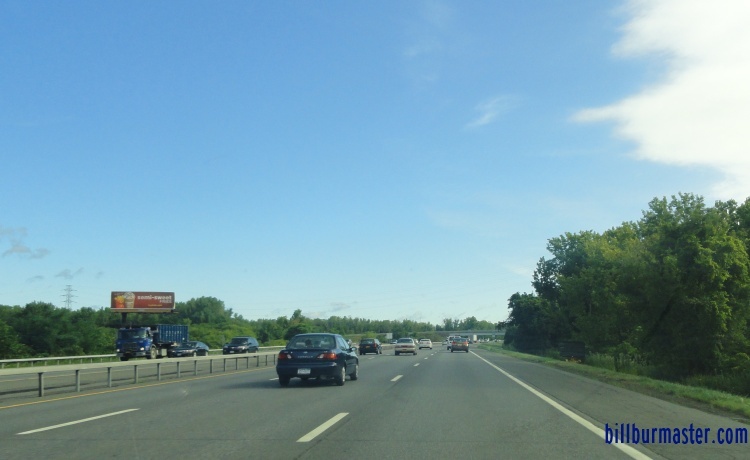 NB I-787 north of I-90. 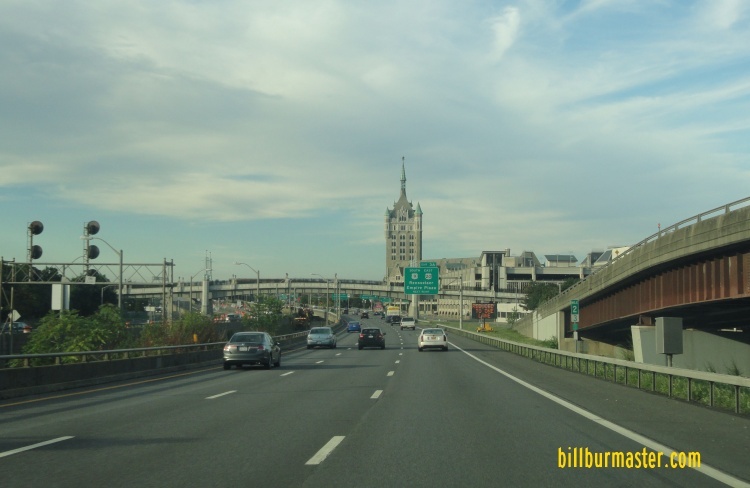 SB I-787 near Downtown Albany.